Choose someone to be ‘in’. When you say ‘Go’, the person who is in must try to tag someone. When they succeed, they must link arms/hold hands with the person they tagged. Now both of them can tag people with their free hands. Each time some gets tagged, they link arms/hold hands and carry on until everyone is in one big chain. Isn’t it nice to all be connected with each other? Yes that’s right, Jesus is the light of the World. Because Jesus is in us, we have His light shining through us too. <Hold up the lamp> While we sing it, I’m going to hold this light up and let it shine all around. <Start to sing the song, but stop when you notice that the light isn’t shining.> I wonder what is wrong, my light isn’t shining. <Someone will probably notice that it isn’t plugged in.> Oh, here’s the problem, my light isn’t plugged in. Now that we are plugged in, let’s try it again. <Sing> Oh, that was much better. The lamp was shining brightly, wasn’t it? It’s pretty hard for a light to shine when it isn’t connected to the power source, isn’t it? Well, actually, it isn’t just hard — it’s impossible! In our Bible lesson today, Jesus told his disciples a story to teach them the importance of staying connected to him. 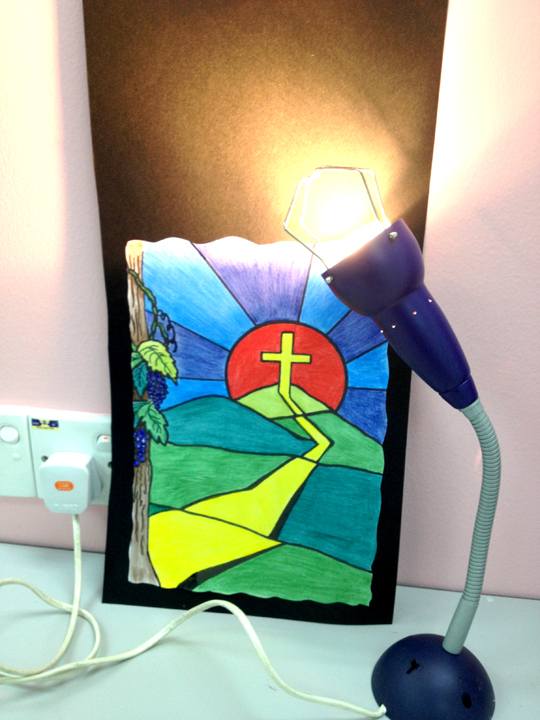 Of course Jesus didn’t use a lamp to tell his story, because electricity hadn’t even been invented yet. Instead, Jesus used an example that his disciples would understand. He used the example of a vine. John 15:1-8 “I am the true vine, and my Father is the gardener. 2 He cuts off every branch in me that bears no fruit, while every branch that does bear fruit he prunes so that it will be even more fruitful. 3 You are already clean because of the word I have spoken to you. 4 Remain in me, as I also remain in you. No branch can bear fruit by itself; it must remain in the vine. Neither can you bear fruit unless you remain in me. 5 “I am the vine; you are the branches. If you remain in me and I in you, you will bear much fruit; apart from me you can do nothing. 6 If you do not remain in me, you are like a branch that is thrown away and withers; such branches are picked up, thrown into the fire and burned. 7 If you remain in me and my words remain in you, ask whatever you wish, and it will be done for you. 8 This is to my Father’s glory, that you bear much fruit, show ing yourselves to be my disciples. B. 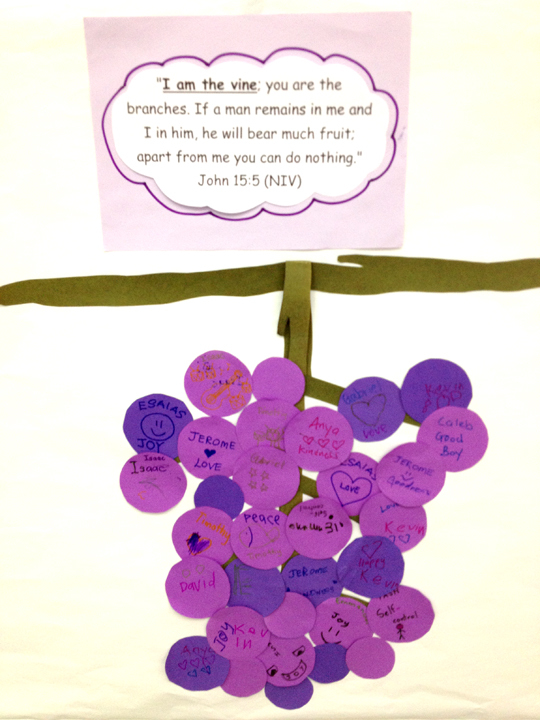 The branches need to stay connected to the vine to live and bear fruit. Have you ever seen a branch that has been broken off of a tree or a vine? What happens to it? That’s right, it withers up and dies. Can it ever have any fruit on it again? No, it isn’t any good for anything — except fire wood. 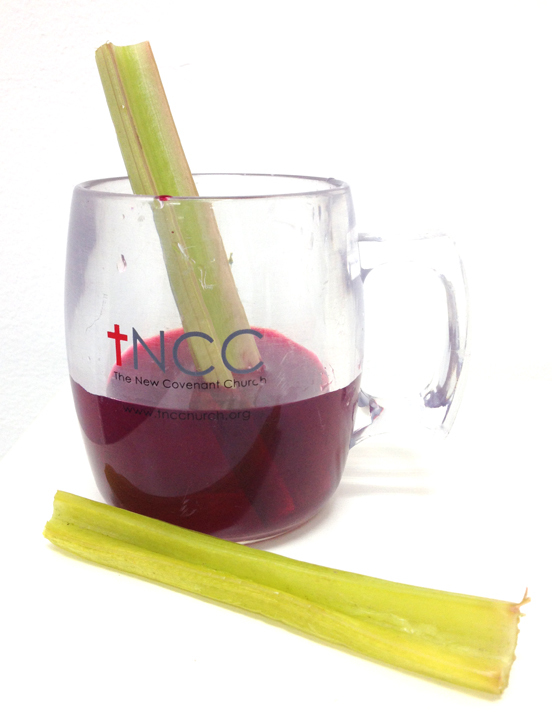 With Jesus = Fruit. Without Jesus = Nothing. That’s right. Like the light that’s not plugged into the electrical source. A rambutan tree will bear rambutan fruits. A durian tree will bear …? A papaya tree will bear …? These trees bear these fruits because that’s who they are. What their DNA is. Jesus promises us abundant life — one overflowing with His love, grace, strength and power. When we depend on Him and trust in Him, our life is fruitful; our work is fruitful; our relationships are fruitful; our ministry is fruitful. When the Holy Spirit lives in us, it bears the fruit of the Spirit — fruits like love, joy, peace, patience, kindness, goodness, faithfulness and self-control (Gal 5). When we bear these fruits, we will be kind and generous and loving to others. All these are not things that we can do on our own. It’s not something we have to force out of ourselves. It comes naturally because of who we are in Christ — the temple/house of the Holy Spirit. The key thing is to stay plugged in, stay connected, and let the Spirit’s life flow through us — the foods and water we need to grow strong, healthy and fruitful. When we depend on our strength, we will feel tired and frustrated and be unfruitful. Instead, let’s look to Jesus. Trust Him. Rest in His finished work. He has done the work for us. We just need to plug in and let the Holy Spirit flow through us. As we learn to look to Jesus and rest in Him, we allow Him to do the work of bearing fruit in our lives!